This year India entered the club of nations operating their own satellite navigation system. The Indian Regional Navigation Satellite System (IRNSS) has a constellation of seven satellites – three in geostationary orbit and four in geosynchronous orbit — that are currently functioning satisfactorily from their designated orbital positions. The IRNSS series satellites were launched by the PSLV (Polar Satellite Launch Vehicle), developed and operated by Indian Space Research Organization (ISRO). ISRO used the PSLV-XL, an upgraded version boosted by more powerful, stretched strap-on boosters to achieve higher payload capability. Two additional satellites are planned as ground spares. Upon the successful launch of the seventh satellite, IRNSS-1G, on April 28, 2016, the Indian Prime Minister renamed the system NAVIC, or Navigation with Indian Constellation. NAVIC is a Hindi word for sailor or navigator. The NAVIC ground segment provides the monitoring of the constellation status, computation of the orbital and clock parameters, and navigation data uploading. It comprises tracking, telemetry, control, and uplink stations, a Spacecraft Control Center, an IRNSS Timing Center, CDMA ranging stations, a Navigation Control Center, and data communication links. IRNSS provides two types of services, the standard positioning service (SPS) and the restricted service (RS). Signals can be received with a single-frequency receiver for Standard Positioning Service (SPS), dual-frequency receiver for both SPS and RS service, and a multi-mode receiver compatible with other GNSS providers. NAVIC’s main goal is to provide India with reliable position, navigation and timing (PNT) services through an independent system for national applications. However, the coverage area also includes neighboring countries (up to 1.500 kilometers from its border). India’s prime minister has invited the member states of SAARC (South Asian Association for Regional Cooperation), which include Afghanistan, Bangladesh, Bhutan, Nepal, the Maldives, Pakistan, and Sri Lanka, to make use of NAVIC. An Extended Service Area would cover the rectangle from latitude 30 degrees South to 50 degrees North, and Longitude 30 degrees East to 130 degrees East. NAVIC applications include terrestrial, aerial and marine navigation; disaster management, vehicle tracking and fleet management, integration with mobile phones, precise timing, mapping and navigation for hikers and drivers. According to an article in The Times of India on April 5, 2014, the impetus for an independent national system is said to have originated from the Kargil War in 1999, when the United States reportedly denied India vital satellite information. (See also the article “How Kargil War with Pak Propelled India to Elite Space Club,” in the Deccan Chronicle, April 29, 2016. Available here. “Until now we were dependent on their systems, now we are self-reliant,” Prime Minister Narendra Modi said in a televised congratulatory message to scientists at ISRO upon the last NAVIC launch that completed the IRNSS constellation. Further political statements underlined the fact that the whole system has been developed and produced in India. Even though IRNSS is strategically important to India, no dedicated legal framework exists governing use of the system. Although India has ratified all major international space treaties, including the 1967 Outer Space Treaty, 1968 Rescue Agreement, 1972 Liability Convention, and 1975 Registration Convention, no specific laws regulate the country’s space activities. However, India’s Constitution, Article 51, provides the foundation for implementing obligations arising from the international space treaties. For the last five decades, space activities are completely within the government’s realm. The Allocation of Business Rules, laid under Article 77(3) of Indian Constitution, has provided the nation’s Space Department with the authority to regulate all programs related to space science, technology, and applications, which are largely executed by the Indian Space Research Organization, ISRO. Until now, India has had little need for dedicated national space legislation. However, with completion of NAVIC/IRNSS and considering the increasing commercialization of space worldwide and the potential future participation of private industry in Indian space programs, new discussions on national space legislation have recently been initiated. A step in this direction came with a workshop on national space legislation organized by ISRO in mid-January 2015. Six months later, the National Law School of India University, Bangalore, organized a round table conference on national space legislation. Conference attendees drafted a one-page document, the “Bangalore Declaration,” proposing the minimum content of potential future national space legislation. However, the draft legislation is not yet public. The military, which is scrutinizing the document, will forward it to the Ministry of External Affairs once the vetting is complete, according to a February 29, 2016, article in the Deccan Herald. This year, the Ministry of Home Affairs proposed a Geospatial Information Regulation Bill to regulate the acquisition, dissemination, publication and distribution of geospatial information in India. Titled the Geospatial Information Regulation Bill, the draft measure has received a lot of attention, both in India and abroad, but has been criticized for its highly restrictive approach. The draft bill, according to its Article 37, will not apply to Indian government agencies. Instead, the Indian national government may, by notification in the Official Gazette, exempt from the provisions of the act ministries, departments, public sector enterprises, or any other attached or subordinate offices of the central or state governments. Should the bill be approved we could expect such exemptions will be declared for ISRO, the operation of the NAVIC system, and the provision of its services. Currently, India’s space policy framework mainly consists of two documents, the 2000 SATCOM policy and the 2011 Remote Sensing Data Policy (RSDP). However, neither are applicable to satellite navigation. The SATCOM document addresses policy implementation for nationwide satellite communications. The RSDP establishes the modalities for permitting and/or managing remote sensing data acquisition to support development activities. In June 2014, ISRO released the IRNSS Signal-in-Space Interface Control Document (ICD) for SPS. The document provides essential information to facilitate research and development and aid the commercial use of the IRNSS signals for navigation-based applications. It addresses signal modulations, frequency bands, received power levels, data structures, user algorithms, and similar subjects. However, in contrast to ICD documents for other satellite navigation systems such as the Europe’s Galileo, the IRNSS document does not include any legal provisions, particularly regarding licenses of the ICD to use for building receivers or other types of equipment. The document only mentions that ISRO does not give any assurance on the fitness of the information furnished in the document for any specific purpose. The IRNSS SIS ICD for SPS could be subject to modification and update. Although the government said it would make its best effort to notify the public about updates of the ICD, it does not assume any obligation to advise any person or organization about such updates. Thus far, ISRO has built and launched the NAVIC constellation on its own. However, according to a September 2, 2016 article in The Hindu newspaper, ISRO is finalizing plans to procure two spare navigation satellites to be built by industry in the next two years. According to the article, the first spare satellite will be built by March 2017 with ISRO’s oversight. However, the second spare satellite, expected a year later, will be built entirely by industry, according to M. Annadurai, ISRO Satellite Center director. While the decision to procure NAVIC satellites from industry is an important step towards more involvement of private industry in India’s space programs, it will not change the public character of the NAVIC system. Its operations and service provision will remain under the responsibility of ISRO. Article VI of the Outer Space Treaty imposes international responsibility upon countries for their activities in space. This article applies regardless of whether the activities are carried on by governmental agencies or by non-governmental entities. As a major “Launching State” for spacecraft, India bears “unlimited liability in time and quantum” for damage caused by its space objects. The Outer Space Treaty also requires non-governmental entities to obtain “authorization and continuing supervision” for their activities, which is seen as the basis for national space legislation but does not necessarily demand it. NAVIC, operated by ISRO as a government system, has no need for implementing dedicated space legislation, even given the procurement of spare satellites. The space treaties establish liability for damages caused by space objects. However, it is recognized that the treaties do not regulate the provision of signals in space or space services, including those from satellite navigation systems. As of today, no specific international legal instrument governs liability for navigational satellite signals and services, and, as mentioned earlier, India presently does not have a specific legal regime in place. One major legal issue is the potential liability of the government toward users and third parties arising from NAVIC signal and service interruptions or degradations. The Airport Authority of India (AAI) Act of 1994 (as amended in 2003), pursuant to the 1944 Chicago Convention on International Civil Aviation, established the AAI as the service provider of aeronautical navigation facilities. Section 33 of the Act grants immunity to AAI and its officers from prosecution for action that result in damage or loss to users. As far as services and applications designated for the general public are concerned, however, other laws and relevant jurisdiction may come into play. Another related aspect is industry’s potential liability for NAVIC-based downstream services and applications. The following sections examine two relevant cases addressing this issue. (ii) hires or avails of any services for a consideration which has been paid or promised or partly paid and partly promised, or under any system of deferred payment and includes any beneficiary of such services other than the person who hires or avails of the services for consideration paid or promised, or partly paid and partly promised, or under any system of deferred payment, when such services are availed of with the approval of the first mentioned person but does not include a person who avails of such services for any commercial purpose. For the present discussion, the second category of the definition is relevant as it relates to service provisions. It also includes the beneficiary of services hired or made use of. Although “consumer” does not include a person who avails him- or herself of services for any commercial purposes, the CPA indicates that use of NAVIC services taken for the purposes of earning livelihood by self-employment would be covered by the definition. To illustrate, a railway operator or airline making use of satellite navigation signals may not qualify as a consumer, but a taxi driver or bus driver using NAVIC signals or services would fall into the second category. It may be argued that where NAVIC signals are provided free of charge to the users, the CPA may not be of any relief to those suffering damage. 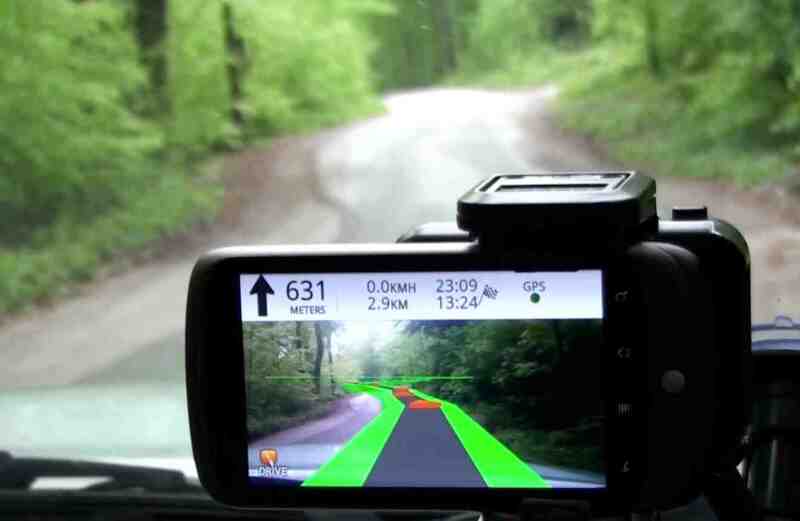 Because NAVIC’s intended objective is commercial use for downstream services and applications, however, in the absence of any specific legislation defining liabilities and responsibilities of satellite navigation service providers, victims of deficient service or a defective signal may find recourse under the CPA. Free usage has been interpreted in a unique way in the case of Geetha Jethani v. Airport Authority of India and Ors. The facts of the case are as follows: Jyotsna Jethani, an eight-year-old girl, was crushed to death when she was sucked into an escalator due to some defect or fault in the escalator. The defect in the escalator was allegedly due to poor maintenance. Jyotsna’s mother, Geetha Jethani, filed a lawsuit under the CPA against AAI, alleging deficiency in service, and claiming compensation for irreparable loss. AAI contended that it was granted immunity under section 33 of the AAI Act, claiming that the family could not be viewed as an AAI consumer because the complainant had not hired or availed herself of any service from the AAI and no fee was charged by AAI from incoming passengers for the use of the escalators. The Apex Consumer Court (National Commission) rejected AAI’s arguments, holding the Authority liable for “deficiency in services” within the ambit of CPA. The court noted that a deficiency had occurred because AAI had not duly maintained the escalator, which was a statutory function. Moreover, as thou-sands of passengers used these services, AAI had an additional duty of care for safety. Although use of the escalator may not be termed as being free, the court held that, according to section 22 of the AAI Act, the AAI does have the power to charge fees for any other service or facility offered in connection with the aircraft operation at any airport or for providing air traffic services or for amenities given to the passengers. Furthermore, the free service provided to incoming passengers is covered by services rendered to outgoing passengers who pay entry fees and other kind of fees. The Apex Consumer Court relied on the precedence set in the case of Indian Medical Association v. V. P. Shantha wherein the Hon’ble Supreme Court of India had held that when service is offered on payment to some person as well as free to some others, it would fall within the ambit of the expression service as defined in Section 2(1)(o) of the Act, irrespective of the fact that the service is rendered free of charge to persons who do not pay for such service. Free service would also be service and the recipient a consumer under the Act. Thus, legal precedent has been established in India to pierce the veil of immunity from prosecution embodied in Section 33 of the AAI Act and to bring the AAI within the purview of CPA. Similarly, the courts have held that damage suffered due to excessive electricity voltage (Gujarat SEB Ltd. v. Zora Singh) or inordinate and unexplained delay in providing electricity supply to residential flat (Alarcity Foundation Ltd. v. T. N. Electricity Board and Jaipur Vidyut Vitran Nigam v. Bodan Ram) rep-resented a “deficiency in service” within the meaning of CPA. Thus, ample precedence has been established for compensating for deficiency in “services,” which the courts in India might likely take with respect to NAVIC services. Victims of faulty signals who do not fall within the definition of “consumer” may come under the jurisdiction of other statutory adjudicatory authorities. In the case of any commercial dispute or breach of contractual obligation, recourse is also open to appropriate courts in India or even to arbitration. As reported in the Hindustan Times, on May 11, 2016, the call dropping case adjudicated in Cellular Operators Association of India and Ors. v. Telecom Regulatory Authority of India and Ors. reflects consumer’s high expectations for the precision sought from telecom service providers. The calls, which automatically get disconnected due to network issues, are one of the biggest problems for the 900 million or so Indian mobile subscribers. The independent Telecom Regulatory Authority of India (TRAI) regulates the telecommunications business in India. TRAI regulations as amended in 2015 demand that telecom operators compensate their customers for dropped calls at the rate of one rupee per dropped call to a maximum of three dropped calls per consumer. The Cellular Operators Association of India challenged the amended regulation in the High Court of Delhi. The High Court, which upheld the regulation, said the regulation was an exercise of power under the TRAI Act, keeping in mind the paramount interest of the consumer. Aggrieved by the High Court’s decision, the Cellular Operators Association, along with Unified Telecom Service Providers of India and 21 other telecom operators, filed an appeal with India’s Supreme Court. Interestingly, the Apex Court struck down this compensation policy for call drops because the regulation was unconstitutional and arbitrary, prompting a large sigh of relief from the telecom service providers. Although the decision was a big relief for telecom service providers, the Apex Court only questioned the TRAI’s process of arriving at the call-drop decision. The court considered the regulation ultra vires (beyond the powers) of TRAI and did not deny the merits of call drop case. It also ruled that Parliament can make and enact a call-drop compensation rule. Consumers obviously have zero tolerance for failure in network services, which will likely prompt future legislation prescribing penalties on providers for deficient services. Since the call-drop decision, telecom service providers have acknowledged that they are accountable to consumers and other stakeholders, including the government, for the deficiencies in the network. Drawing an analogy from the call-drop case, legal issues may arise in the near future with commercial application of navigation satellites wherein a consumer would like to be compensated for deficiency in services. An independent regulatory body similar to TRAI would therefore be very much needed to regulate satellite navigation service providers to ensure service quality and a fair and transparent policy environment that promotes and facilitates fair competition. India has recently completed its own regional satellite navigation system. ISRO is planning to procure, for the first time, additional spare satellites from industry. However, India currently has no specific space activities legislation or laws or regulations for the provision of satellite navigation signals and services. While initial discussions on national space legislation have been initiated, no draft legislation has appeared thus far. A separate draft bill for Geospatial Information Regulation is currently under discussion. However, it would not apply to the governmental operation of the NAVIC system. The same is true as regards authorization procedures for the space activities of non-governmental entities to be established under future national space legislation. As for other satellite navigation programs, government liability for signals and services, provided by satellite navigation systems, is a core legal issue that needs to be considered further, particularly for promotion of NAVIC downstream applications and services. Even though the Supreme Court’s ruling on call drops is final, the issue has not been fully resolved. Considering emerging commercial downstream services and applications based on NAVIC, the case must be seen as a beacon illuminating the complex legal issues arising from potential claims of users and third parties. In conjunction with the prospective National Space Act and the draft Geospatial Information Regulation bill, India should further reflect on the legal issues related to satellite navigation signals and services.